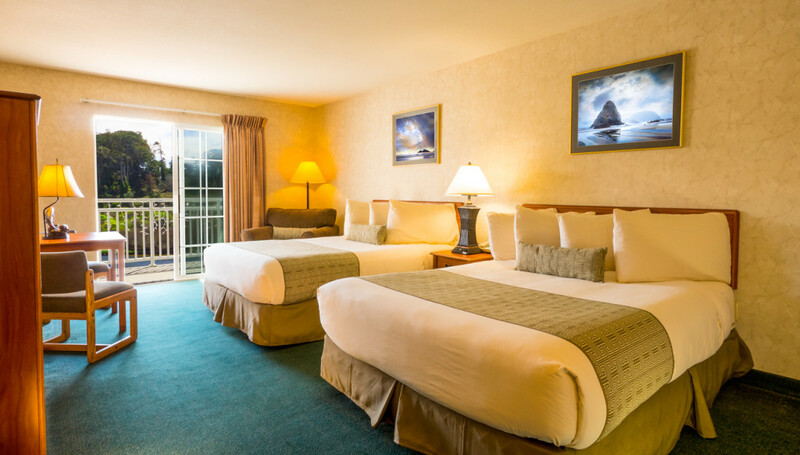 Find the perfect room for you at the Beach House Inn. Most rooms feature a private balcony with estuary or partial ocean views. 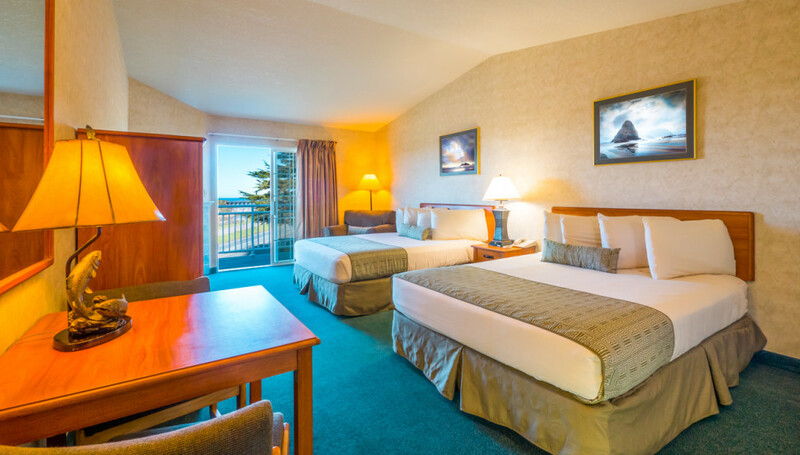 Pick from either one luxurious king sized bed or two comfy queen sized beds per room. 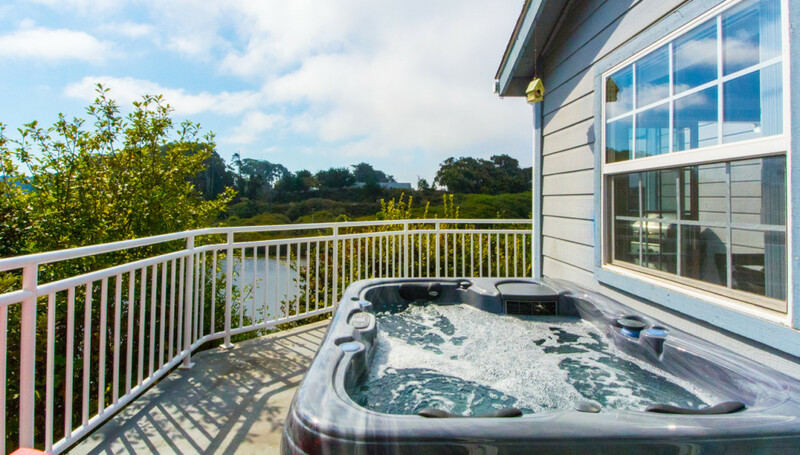 Treat yourself to one of our tub rooms for an oversized soaking tub in-room with optional fireplaces. Pets are welcomed! Rooms are available for those traveling with your furry companion. 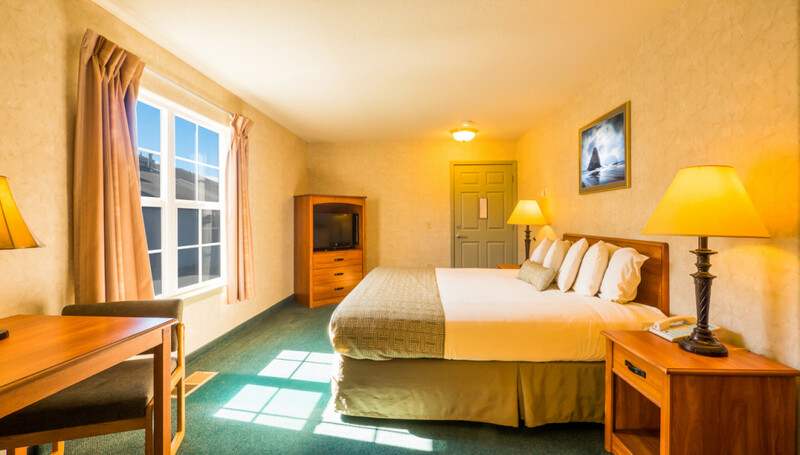 All rooms come standard with fridge and microwave along with other amenities. 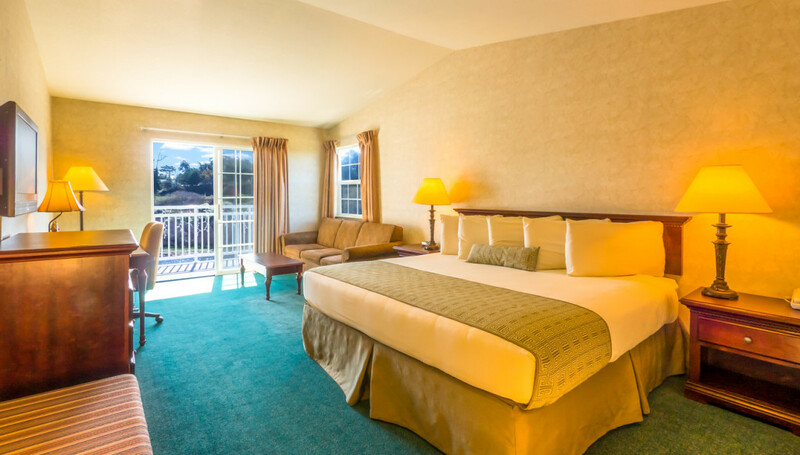 Enjoy the best of Mendocino County while staying at our friendly hotel!